I’ve been on one hell of a personal journey over the last few years. Life was an emotional rollercoaster and to me it made perfect sense to add to the craziness, quit my job and escape to Peru. In the beginning everything was confusing despite being sheltered within the umbrella of an NGO where I was volunteering. I didn’t speak the language nor understand the customs. I thought that I would never get to grips with the local bus system or be brave enough to set out on my own across South America. It’s no word of a lie – I was TERRIFIED – but there is something about the travelling community that encourages strangers to connect, share and open up with each other. I guess we all recognise that we are adrift in a strange place and far from family and friends. People meet you and get to know you for who you are, without the influences of gossip or knowing about your past. 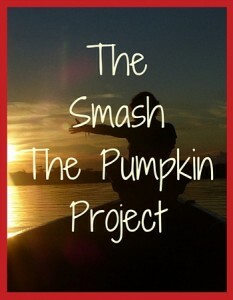 Problems are shared, dissected and solved and it was this tribe who persuaded me that my strengths lie in mentoring and supporting others (and so the Smash the Pumpkin Project was born). I have met some incredibly generous people – generous with their time, possessions and love and these are the people who inspire me to continue with my journey and to mentor and support others who need help. In this section you will find some of my more personal stories plus the stories of others who are inspirational in their own way. Feel free to contact me if you have any comments or if any of the issues resonate with you.